From Quilt in a Day, by Eleanor Burns. Eleanor combines traditional strip piecing with Flying Geese Patches for a beautiful new quilt! 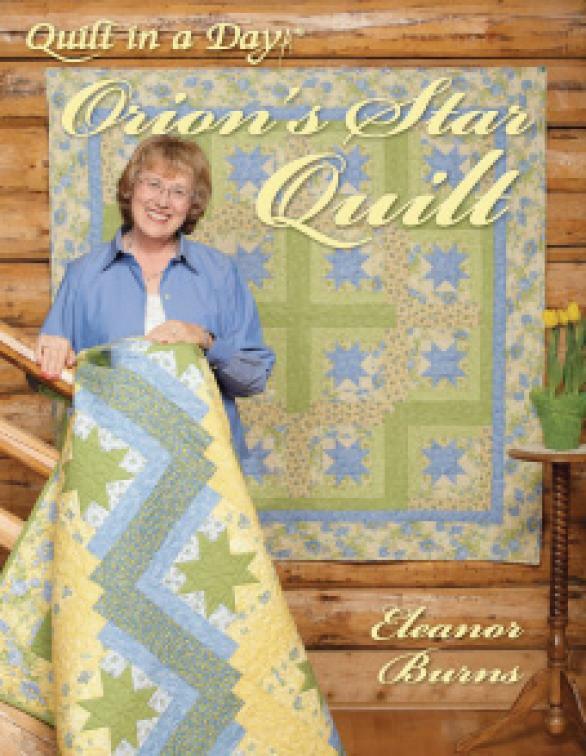 In Orion�s Star, she brings together the versatility of a Log Cabin block and the flair of a Flying Geese Patch to result in a whole new look! The pattern is quick and easy to make and is ideal for quilters of all skill levels.